Located on the Stuart Highway, Tennant Creek is the Northern Territory's fifth largest town and is situated 1000km south of the capital city Darwin. Only 500km north of Alice Springs, the town gets its name from a watercourse located nearby. From 1872 Tennant Creek was a telegraph repeater station for messages sent by Morse code and this remote outpost remained isolated except for a few brave pioneers until gold was discovered in the 1930s. Australia's last Gold Rush, the town has now grown into a well-known tourist attraction. Tennant Creek is also home to a number of natural attractions including Mary Ann Dam, the Devils Marbles, Nyinkka Nyunyu Culture Centre and the Battery Hill Mining Centre. The heart of the Barkly Tableland, Tennant Creek boasts 240,000 sq km of elevated black soil plains covered by golden Mitchell grass. Running from the Queensland border west to Tennant Creek, the Barkly Tableland is some of the Northern Territory's most important cattle grazing and the open grass plains are home to some of the largest cattle stations in the world. In the spirit of its Gold Rush heritage, Tennant Creek offers a public fossicking area on the outskirts of town and also offers a number of tours of local mining leases showcasing the process of treating and producing gold ingots at locations including the Normandy Mines, Battery Hill Mine, Dot Mine and the Gold Stamp Battery. 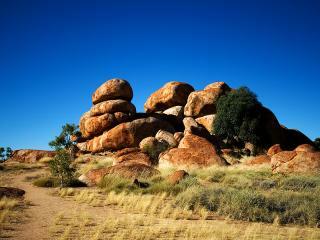 The Devils Marbles are another popular attraction and are approximately 100km south of the valley spanning the Stuart Highway. 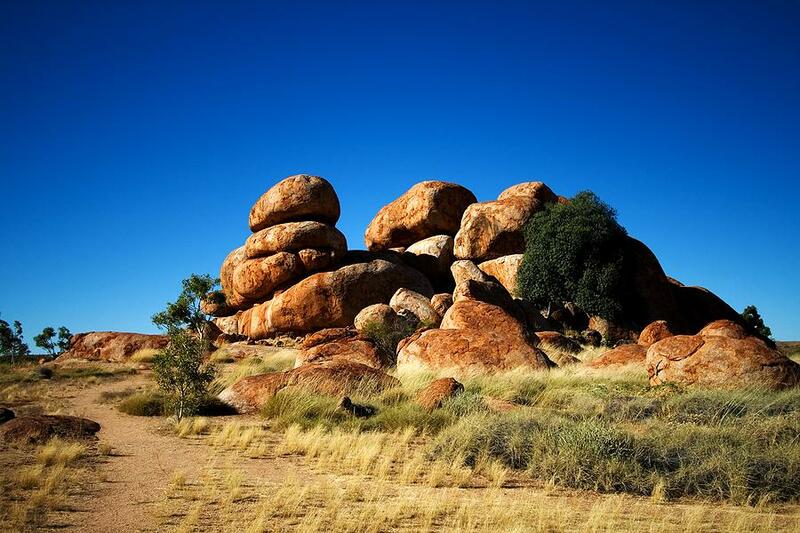 Aboriginal folklore believes these hundreds of boulders to be fossilised eggs of the Dreamtime Rainbow Serpent and at up to 6m in diameter and many balancing on each other, this fascinating attraction makes an interesting climb and it particularly beautiful at sunrise and sunset. Trail rides, horse riding and 4WD tours are also available.